At last, my wish to watch Pirates 3 at cinema had been fulfilled. Thanks to one of my best friends for taking me to Kuantan. However, what he has in mind is Waris Jari hantu (WJH). Sorry buddy, once at the cinema, I only wannna watch Pirates only..hehehe...I didn't want to disappoint my buddy but the temptation to Pirates is greater than my desire to watch any other movie. But I nearly missed to chance to watch it. Since we took off from kerteh quite late in the morning, we reached Kuantan, just in time for Friday prayer. After Friday prayer (not me, my friend), we only reached cinema at 220pm. The first Pirates's show started at 220pm also. It was already late and I didn't perform my Zohor prayer yet, and my friend is quite confident that I'd be watching WJH with him. But still, I couldn't let it go, not before trying. So, I asked for Pirates at 220pm ticket. And she said, it is still available. I looked at my friend, begging me to let me watch the show and he didn't mind. Huhh...lega..After my Zohor prayer, i quickly run to the cinema and luckily it's just started. 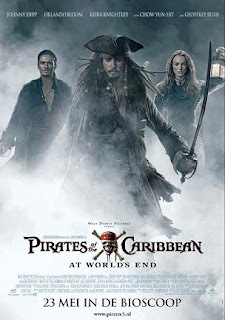 Well, unlike Spiderman, which I quite didn't like, Pirates is very entertaining. From the beginning to the end. And I don't mind for another sequel. 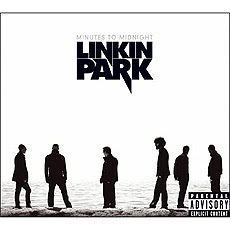 Also, to the delight of my soul, who hungers for Linkin Park latest CD, I bought it last weekend. Just couldn't stand watching it hanging at the CD store without getting my hands on it. And of course, buy it! Initially, I didn't quite get what they are trying to convey on this album coz it's totally new sound. But after listening to few times, it gets into my soul. They are really good in making songs that I really wanna hear. Kudos to Linkin Park! They are totally the best rock band in the universe! wow...eija pun dah berkahwin. best2...semua kawan2 nampaknyer hepi2 saja. aku jerk sedih2...hehehe.